Whether it’s publishing a book or conducting research, our professors are always contributing to their academic fields beyond the classroom. And recently, national news outlets have been calling on our faculty more and more to share their expertise. 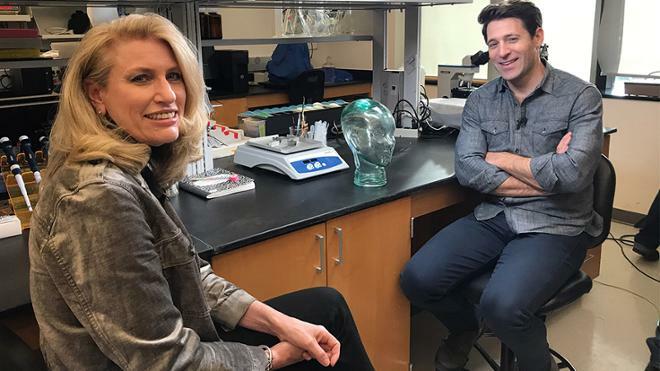 The most recent example is Dr. Kelly Lambert, a professor of behavioral neuroscience, who recently appeared on CBS Sunday Morning — and the second UR professor in a week who CBS News has featured. Lambert discussed the concept of “behavior-ceuticals” — the idea that when we move and engage in an activity, we are changing the chemistry of our brains, similar to the way a drug can affect us. More specifically, she uses rodents to study hand-brain connections to show that activities that use both of our hands, especially in creative ways, are more engaging for our brains. She discovered rats that had to dig for rewards showed higher signs of mental health compared to “trust-fund” rats that didn’t have to participate in physical work. Thank you, Dr. Lambert, for sharing your knowledge and insight through your research. We are incredibly proud to have professors like you!